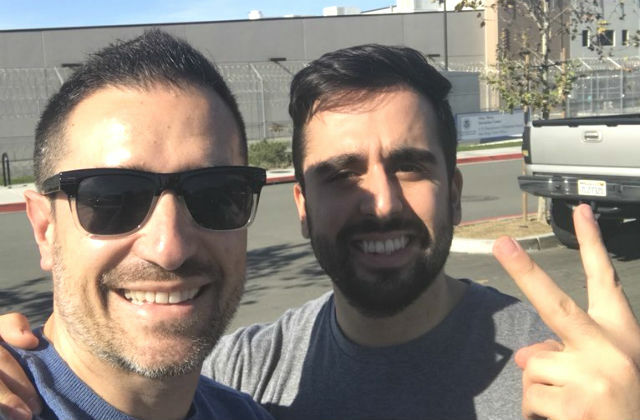 Orr Yakobi, a UC San Diego student covered by the DACA program, was released by Immigration and Customs Enforcement on Friday after nearly four days in custody. Yakobi, who was brought to the United States from Israel as a child, was arrested after visiting an outlet mall in San Ysidro and making a wrong turn on Interstate 805 that took him into Mexico. Yakobi’s release was sought by his friends, university officials and Assemblymember Todd Gloria, who wrote to ICE on behalf of the student. “Today marks the end of a nightmare for Orr Yakobi. I could not be more relieved to see him released from federal custody — a place he should have never been in the first place,” said Gloria. Yakobi, a computer science major, was detained because individuals under the Deferred Action for Childhood Arrivals program generally cannot be readmitted if they leave the United States.